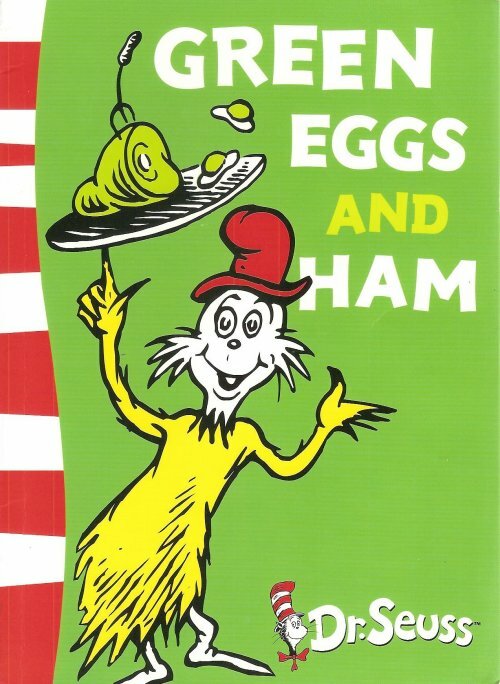 “Do you like green eggs and ham?” asks Sam-I-am as he tries to convince his neighbour to try this new and unfamiliar dish. The moody neighbour refuses. But Sam-I-am keeps asking persistently in various locations and with various dining partners until the neighbour finally relinquishes and gives it a taste. This classic book by Dr Seuss consists of less than 50 words. But the repetitive nature makes it ideal for targeting rhyme and grammatical elements such as subjective pronouns (I, you), objective pronouns (me, them) and modals (could, would, will, may). See the list below for further possible speech and language targets.